Now Leasing for Fall 2016! Welcome to College Hall in Washington DC! 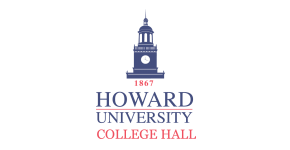 Our dedicated staff and convenient location make us the smartest pick when it comes to student housing near Howard University. Come experience our cutting-edge amenities and meticulously groomed grounds that make our residents feel right at home. Whether you're a graduate student or undergrad, you'll gain access to all the quiet study areas, vibrant social events, and must-see local attractions you could ever want. Just ten minutes from the heart of downtown, close to local public transportation, and around the bend from 9:30 Club, iconic bookstores, and shopping at Gallery Place, it's easy to see what makes living at College Hall so appealing. Once you've explored our available floor plans, call us today to set up a tour!